Or as low as $70.75 per month over 12 months. Apply Now. 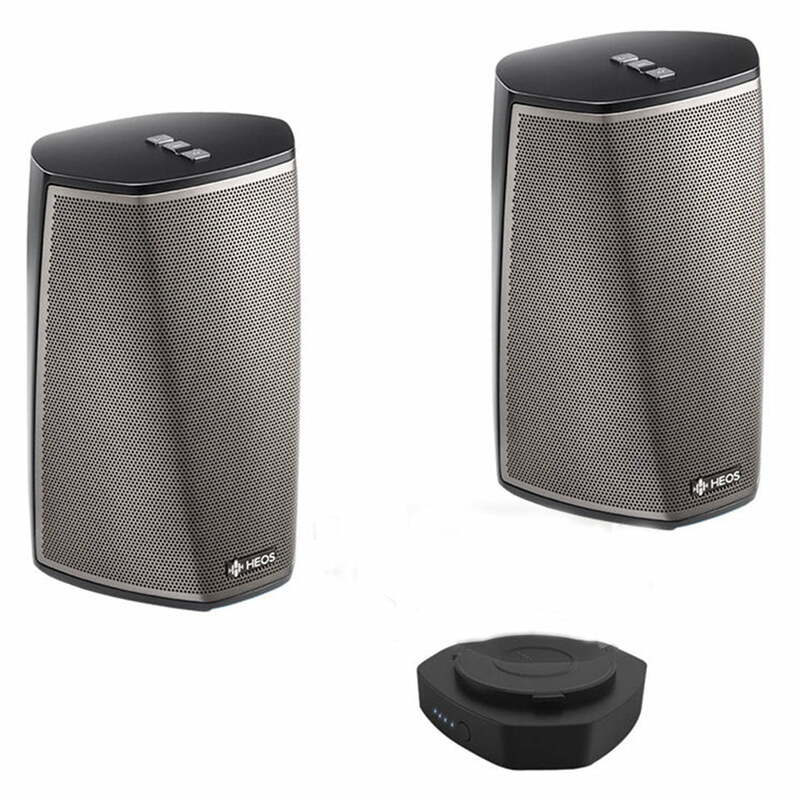 The Denon HEOS 1 (Series 2) Mini, Portable Wireless Speaker is one of the most versatile wireless speakers we carry. It’s small and humidity-resistant, so it goes pretty much anywhere, including the bathroom, in your house where there’s an outlet. You can play music wirelessly through Bluetooth or connect to your Wi-Fi network for access to Denon’s HEOS whole-home music system. Download the free HEOS app for your smartphone or tablet, then connect your device to the HEOS 1 using the special setup cable. With a few taps of the app, your Wi-Fi settings are automatically transferred. When you unplug the cable, you’ll have full wireless control of the speaker. Repeat the same quick process to add other HEOS speakers, and you can control them all with the same app. There is also support for SiriusXM, Amazon Prime, Pandora, and TIDAL. You can pull up a podcast or new song on SoundCloud, or stream Internet Radio from iHeartRadio, or TuneIn. You’re a Spotify Premium Subscriber? Play all your favourite albums and playlists with Spotify Connect. Listen to your favorite audio tracks wirelessly, indoors or outdoors, via Bluetooth and Wi-Fi audio streaming. The compact enclosure features humidity resistance, making the HEOS 1 ideal for listening in damp or steamy environments, such as the bathroom. It’s also a perfect outdoor system when on the go. Connect your favorite portable device directly to the HEOS 1 via the USB port. There’s also a stereo line input for analog audio sources. 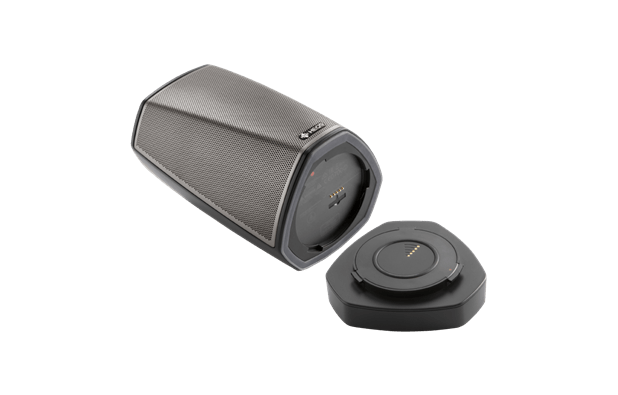 Featuring custom dual drivers including a wide range mid-woofer and precision dome tweeter, the HEOS 1 mini wireless speaker enclosure is sealed for humidity resistance, making it an ideal system to use in a damp environment, indoors or outdoors. Listen to your favorite music in any room in the home – even the bathroom with the choice to utilize wi-fi networks or bluetooth for audio streaming on the heos wireless multi-room sound system. 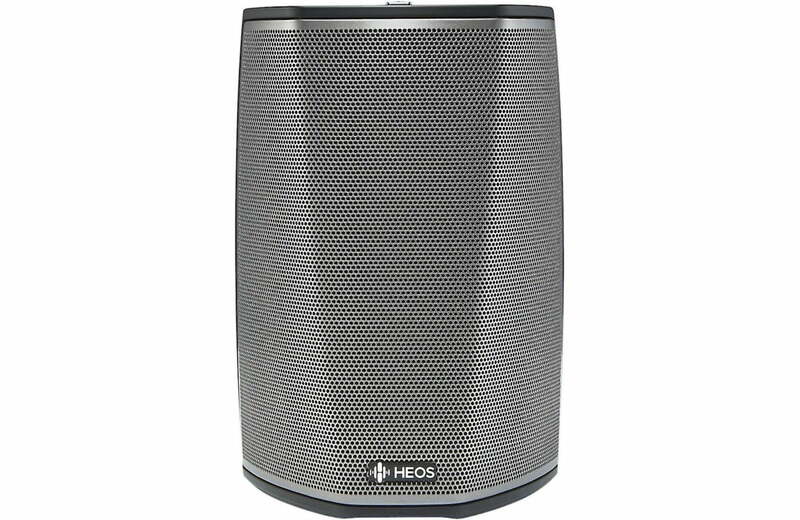 Optional heos 1 go pack with rechargeable battery pack/base sold separately features a high capacity rechargeable lithium-ion battery that delivers 6 hours of playback time and includes a silicone splash guard to seal the jacks to protect from splashing water making it a perfect outdoor speaker system. Listen to your favorite tracks wirelessly via the included Bluetooth functionality in the HEOS 1 – no wires needed, no Wi-Fi connection needed. You can also listen to your favorite tracks when your smartphone is connected to the HEOS 1 and charge your device at the same time – perfect for those times when you’re away from an AC power source and you need to recharge your phone. The USB port provides a 5V/1A output, the same as regular phone chargers.